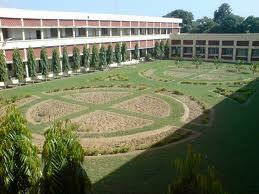 Guru Nanak Dev Engineering College was established by the Nankana Sahib Education Trust [NSET]. NSET was founded in memory of the most sacred temple of Nankana Sahib, birth place of Guru Nanak Dev Ji. Shiromani Gurudwara Prabandhak Committee, Amritsar, a premier organization of universal brotherhood, was the main force behind the mission of “Removal of Economic Backwardness through Technology”. Placements: The goal of Training & Placement Cell is to Provide employment opportunities and world class training to GNDEC Students in Leading Orgainizations. The Cell is well equipped with ample infrastructre in Terms of Testing halls,Consultancy Hall for Pre Placement Talk,Presentations etc. It arranges training for students in industries for 4 weeks at the end of 4th Semester and for 6 months in 6th, 7th or 8th Semester. All the Engineering Department students undergo Six months training. The students of the college undergo their training at various prestigious organizations as Punj Lloyd Ltd., Delhi Metro Rail Corporation, Maruti Udyog Ltd., L&T,Havells, DRDO, CSIO, Ericsson, Siemens, Reliance Group, HCL, Samsung, LG etc. The students act as a channel of communication with industries. All the reputed organizations including MNCs come to the College for campus recruitment. To achieve its goal, the Training & Placement Cell works towards recognizing the core competencies of students. It works through a close knot organization and has a structure which conveys information to the students at the fastest possible rate. A common placement brochure for all branches is published. The Training & Placement Cell firmly believes in ‘Industry-Institute Interaction’. In order to accomplish ‘Industry-Institute Interaction’ it organizes technical talks and national seminars to provide a platform for the budding engineers to interact with professionals from various industries. It encourages visits to the industries by the college students. It arranges for industrial problems to be worked on by students as part of their projects. It also takes suggestions from members of industry regarding designing/changing of curriculum. The college has signed MOUs with many industrial organizations and industrial chambers. Technical paper presentation contests are held in collaboration with industries to discuss new developments and trends. Campus: Guru Nanak Dev Engineering College was established by the Nankana Sahib Education Trust [NSET]. NSET was founded in memory of the most sacred temple of Nankana Sahib, birth place of Guru Nanak Dev Ji. Shiromani Gurudwara Prabandhak Committee, Amritsar, a premier organization of universal brotherhood, was the main force behind the mission of “Removal of Economic Backwardness through Technology”. With this mission, a Polytechnic was started in 1953 and Guru Nanak Dev Engineering College was established in 1956. The Trust deed was registered on 24th February 1953 with a commitment by The Nankana Sahib Education Trust to uplift the vast weaker section of Indian polity comprising Rural India by admitting 70% students every year from Rural Areas. This commitment was made to the nation on 8th April, 1956. The day when foundation stone of the College Building was laid by Late Dr. Rajendra Prasad Ji, the First President of India. Nearly 10,000 graduate and 3000 Post Graduate Engineers have passed out from this college during the last 50 years and are at present successfully employed in India & abroad.The college is now ISO 9001-2008 Certified, NBA accredited and have signed MoU with IOWA University [USA] for exchange of students and faculty. Central library: The Central Library is try to purchase new books every year to make good resources centre.The Library in its new premises open with fully Air Conditioned. Two main reading halls, and one reading hall for Periodicals. The Book bank section on the first floor and general book stack are ground floor. The Library has a collection of books, thesis, bound volumes of journals and souviner. The Library is now semi computerized with an integrated system connected to the Campus Network providing Internet and e-mail facility. The reference collection of the Library is continuously updated, and augmented with the acquisition of CD-ROM databases and access to on-line databases on Internet. On-line Public Access Catalogue facility is available at the Reference Desk on the First Floor of the Library. OPAC can also be accessed through any terminal on the Campus Network. Library collection can also be searched through Web OPAC .The Library subscribes to about 129 current periodicals. Library subscribes to online IEEE and Science Direct.Also access to approximately 500+ online full text journals, is available through INDEST.The mission of the Central Library is to facilitate creation of new knowledge through acquisition, organization and dissemination of knowledge resources and providing for value added services.Library also subscribed new AICTE Mandatory e-journals including Engineering and Management. I love this college very much, and want to take admission in that college. wht is the aieee cut off in gne? to wander into a room where real money is required. deserves a rank at the top of our list.